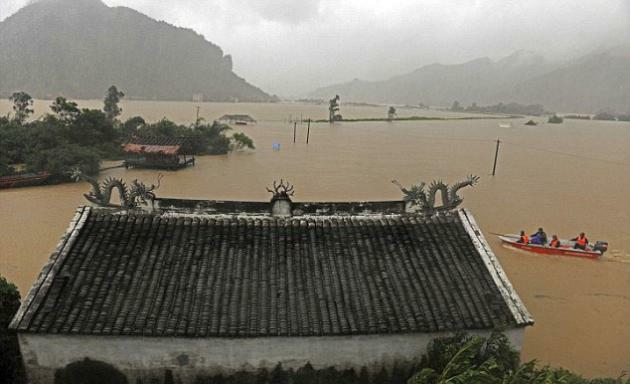 Almost one million people have been forced to evacuate their homes in China as a deadly typhoon approaches. A day earlier, the storm lashed Taiwan dumping 100 inches of rain in just 24 hours. It caused the island's worst flooding in half a century. Twenty-nine people were missing in southern Taiwan and a woman was killed when her vehicle plunged into a ditch in Kaohsiung county on Friday. 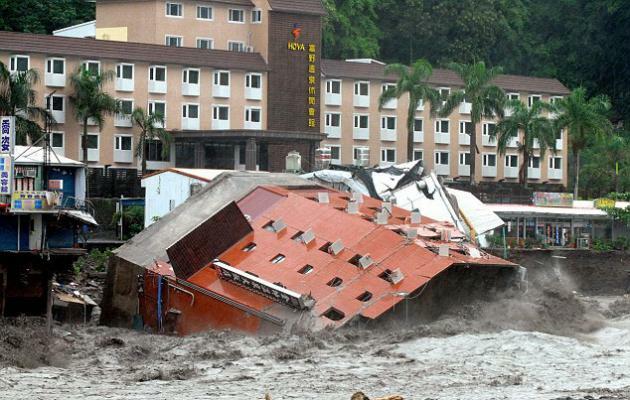 The building of Hotel Chin Shuai (above) lies collapsed in floodwater.